New for this year is the 2019 Special Edition Nissan Rogue! Based on the S trim level, this Rogue is a one of kind SUV with a presence that’s hard to ignore! With 17-Inch Aluminum Alloy Wheels, Unique Special Edition Badging, Privacy Glass, Roof Rails, and Chrome Door Handles, this Rogue is a stunner! Plus, the impressive and spacious interior also features Quick Comfort Heated Front Seats, a Heated Leather-Wrapped Steering Wheel, a Leather-Wrapped Shift Knob, and a Dual Zone HVAC System! In addition, this Rogue also lets you enjoy all the power you will ever need thanks to the 2.5 Litre DOHC 4-Cylinder Engine, teamed with our Continuously Variable Transmission (with Sport Mode Shifter), and including All-Wheel-Drive (AWD) – with 170-HP endurance! Incredibly, this Rogue also offers you a Suite of Driver Assist Technologies, including a Rearview Monitor, Intelligent Emergency Braking, Vehicle Dynamic Control with Traction Control, Intelligent Trace Control, Active Ride Control, a Tire Pressure Monitoring System, Blind Spot Warning, and Rear Cross Traffic Alert. Plus, you can also enjoy hassle-free connectivity through the Bluetooth Hands-Free Phone System, along with NISSANCONNECT – featuring Apple Carplay and Android Auto! It just gets better when you add in a 4-Speaker Audio System, with a 7-Inch Touchscreen, including CD/AM/FM Radio, and USB connectivity! If you’re interested in getting a look at this stunning vehicle up close, please stop by and visit us at our dealership. 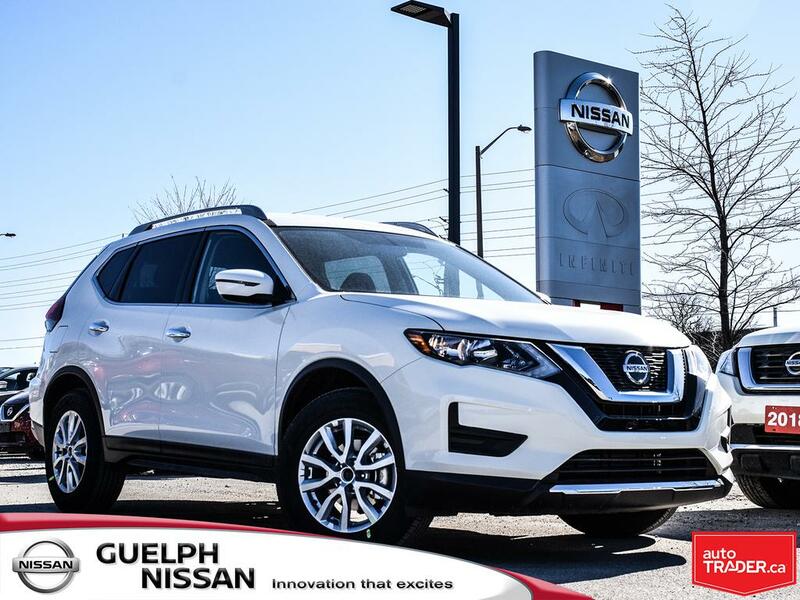 Also, please feel free to take a look at our 2019 Nissan Rogue Online Inventory!